Available for International Off-Shore or Apprenticeship. Gain the skills and knowledge to become a licensed electrician with a Certificate III in Electrotechnology Electrician at Victoria University Polytechnic. Completing this course satisfies the Electrical Regulatory Authority Council’s requirements to sit the licensing exam to become a licensed electrician. This is an apprenticeship course - you must be employed as an apprentice electrician to study it. Everything you learn at Victoria University Polytechnic has direct links to the real world. You’ll learn practical skills on special purpose machinery at our Construction Hub, giving you the chance to test out your theoretical knowledge. We also have disability support services and counselling services available for all students. Electrical skills are highly sought after. There has been strong employment growth for electricians in the past five years and growth is expected to continue (Job Outlook). This Certificate III in Electrotechnology Electrician can lead to a career as a domestic, commercial or industrial electrician. You could find employment across several industries, including manufacturing, construction and mining. You could work in-house for a large or small company, as an external consultant or as a self-employed tradesperson. Once complete, this qualification allows you to apply to become a licensed electrician through Energy Safe Victoria. You can also apply for an Open Cabler Registration licence endorsed by the Australian Communications and Media Authority (ACMA). 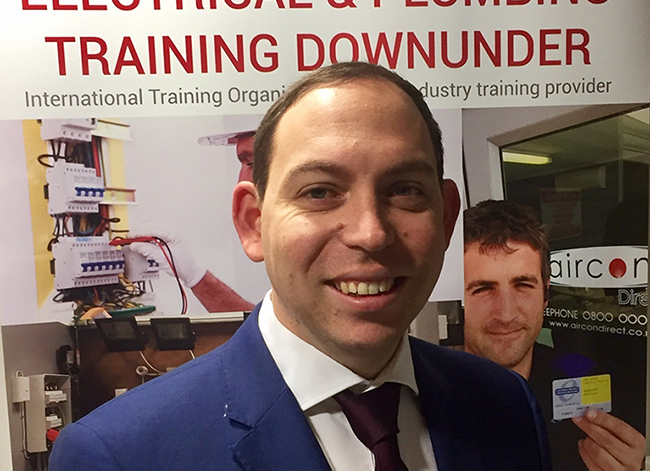 After completing a civil engineering degree and working on major projects like the Westgate Freeway upgrade, Michael Szpakolski decided to trade his onsite office for a classroom. units must be selected, with a minimum value of eighty (80) and do not exceed a maximum value of one hundred and forty (140) points, from Group B. Note: Units from Group A, include imported units from other training packages and/or state accredited courses which are first packaged at AQF Level 3. If units have not been assigned a weighting by the relevant EE-Oz Industry Technical Advisory Committee, their weighting will be ten (10) points.